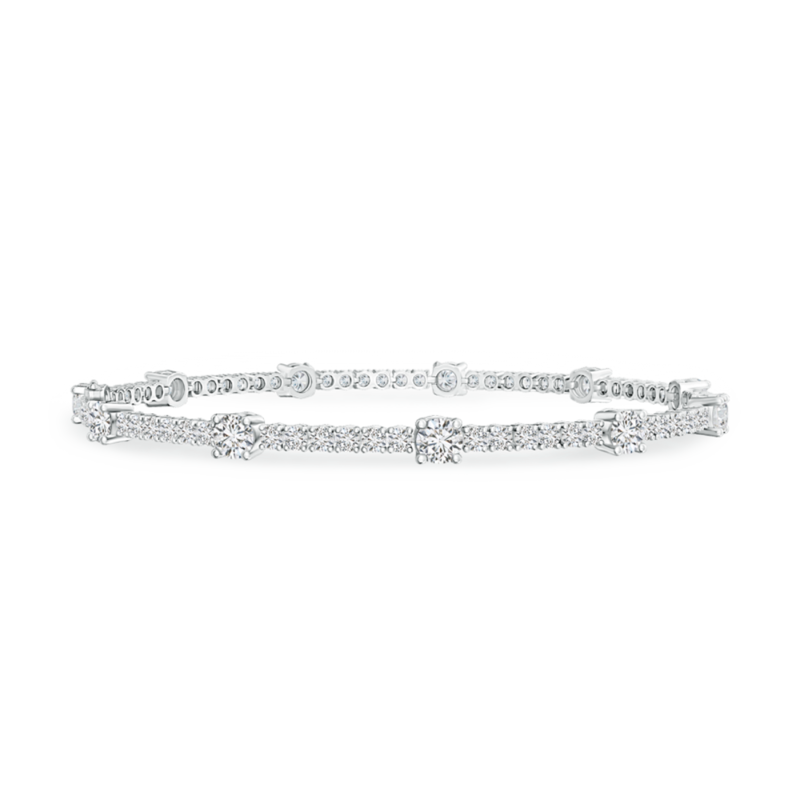 Big drops of sparkle gracefully settle down in this lab grown diamond bracelet. These glittering diamonds are beautifully complemented by a number of accent diamonds adorned on the links. Splendid and opulent, this 14k gold station bracelet with engineered diamonds makes a fabulous heirloom piece. Jewelry trends keep changing, however few styles remain timeless; one such style is the tennis bracelet. This iconic trend gained worldwide popularity when tennis legend Chris Evert's inline diamond bracelet broke open during the 1987 U.S. Tennis Championships. Her request to search and retrieve her bracelet was granted, and soon it was christened as the "tennis bracelet." This style features stones that are individually set in symmetrical, continuous links along the entire length of the fine metal chain. This product by Pure Ignis is a gorgeous example of this timeless design.